Budget Rent a Car is renowned for meticulously maintained vehicles and quality service. We offer a wide range of cars, 4WDs and mini-buses, as well as Australia’s largest fleet of truck and commercial vehicles. With more than 200 locations across Australia, you are never far from a pick-up point or friendly service. Plus, Qantas Frequent Flyer or flybuys members can earn points with Budget. We have teamed up with partners around the world to offer our customers great value when renting with Budget. Partners include Qantas Frequent Flyer and the flybuys programne. You can earn points every time you rent with Budget. Sign up to Budget’s Hot Deals today and get regular specials and great deals delivered to your inbox. Sign-up at the web address below. Frequent renters can take advantage of Fastbreak, which offers faster reservations, faster rentals and faster returns. 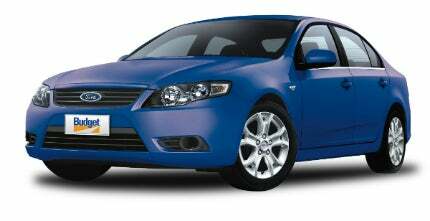 Rent a vehicle with no queues or paperwork and save time. Sign-up today. Having Budget as your preferred car rental supplier means you get consistently great service, quality and low kilometre vehicles, a vast location network and most of all, great rates. For small to medium-sized businesses, Budget Business Club is the answer. At Budget, we take care of all the little things. Budget offers a variety of special equipment to make your life simpler, including reinforced packing boxes that will protect your valuables and stack together easily, bubble wrap, tape, rope and hand trolleys. In the event of an accident, excess reduction reduces your financial liability. Provided you comply with the terms of the Budget rental agreement, we ensure that for any particular loss or damage to the Budget vehicle or third-party property, you will not have a liability greater than the reduced excess even if you were responsible. Contact us for more details.